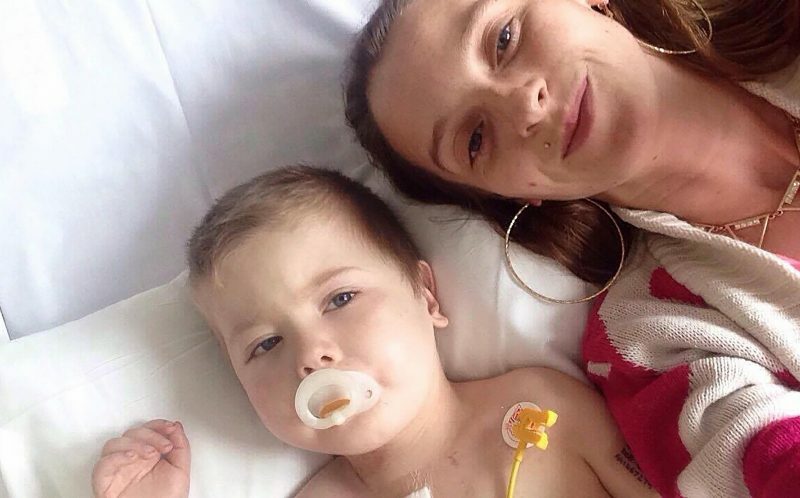 A defiant mum who was allegedly told by doctors to abort her baby because he only had HALF a heart said her brave boy is living life to the full. Mum-of-two Charmaine Oates, 27, claims a doctor advised her to terminate her pregnancy at 20 weeks when a scan revealed her baby had hypoplastic left heart syndrome (HLHS). Charmaine’s son has such a severe form of the rare congenital defect – which hinders the growth of the left side of the organ – it meant he would be born with just half a heart. But the defiant mum and her partner of 14 years James Weiss, 28, decided to ignore the advice as they felt ‘wherever there was life, there was hope’. And Charmaine, from Rock Ferry, Merseyside, is urging other parents to do the same with their little boy Romeo Weiss, now four, living life to the full and even starting school. Liverpool Women’s Hospital, where Charmaine claims she was told to abort the pregnancy, said they could not comment on Romeo specifically but that each HLHS case was dealt with on an individual basis. Charmaine, who is also mum to Wyley Weiss, eight, said: “When we were told that Romeo had HLHS, the doctor said it would be best if we terminated the pregnancy. “But I’m a very stubborn person and James and I believe that wherever there is even a little bit of life, there is hope. “It has been really difficult but I am so glad we made that decision because he is a fabulous little boy and even though he only has half a heart he is living life to the full. “Since day one he has had a real spark. He is always smiling – even after his surgeries – and loves playing with his big brother. He has even started school now, it is amazing. 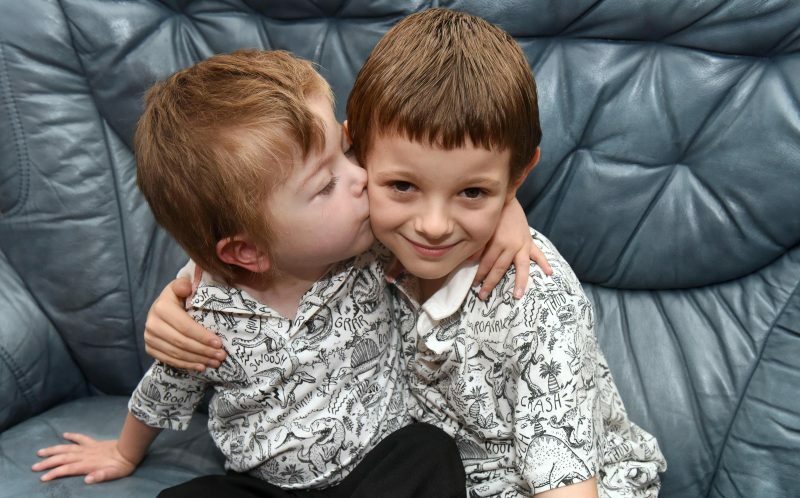 It has been far from plain sailing for Romeo, who was rushed in for his first heart surgery at Alder Hey Children’s Hospital on May 30, 2012 – just two days after he was born. 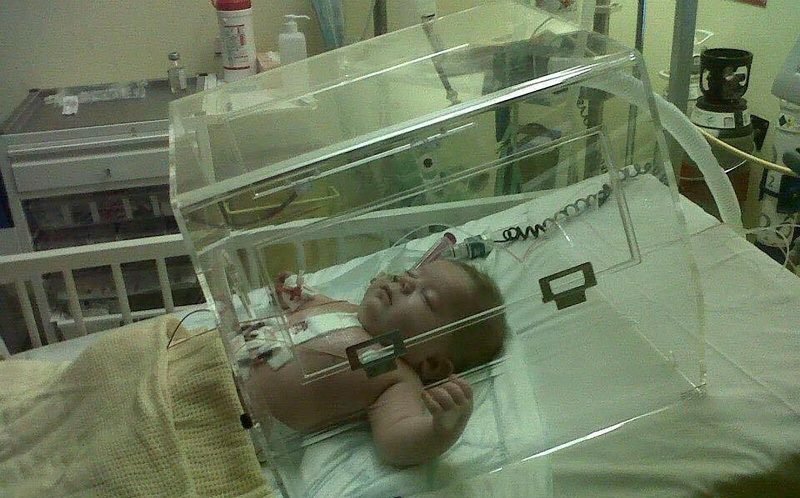 The tot’s condition affects the side of the heart which usually pumps oxygenated blood around the body so Romeo has had five major operations to connect veins and arteries to the half of the organ he has. And while his last surgery was a huge success, if Romeo’s heart does not grow as he does then he will need a full transplant later in life. Full-time mum Charmaine said: “The doctors always remind us he isn’t completely fixed but they’ve done a pretty good job. “Since coming home from his last surgery it has been incredible watching him get stronger with every day. “There were times when it was really touch and go. “He has fought a battle that we never wanted him to have to fight. His body has tried to give up but his spirit and soul have said ‘no’. Earlier this month Romeo, who takes eight different medicines and needs regular check-ups and physiotherapy, started half days Grove Street Primary School in New Ferry, Merseyside. Although he is a bit behind his peers, who started in September, Romeo puts his full effort into all his lessons, even PE, and has made lots of friends. The family are now fundraising for a trip to Disneyland as a reward for all his bravery. And while Romeo’s life has been challenging, Charmaine says she will never regret her decision to keep him as he has made them all stronger. Charmaine said: “He is doing a fantastic job at school. He gets involved with everything and pushes himself to get stronger day-to-day. “All the other kids flock around him and tell him how brave he is which is so nice to see. “He is such a loving and caring little boy, I’m not surprised he has made loads of friends so quickly. “We’re fundraising for a trip to Disneyland because if anyone deserves it, it’s him. He is a little heart warrior. “And being a heart mum is one of the greatest honours. I will never ever in my life regret keeping this little boy. Suzie Hutchinson, chief executive of children’s heart charity Little Hearts Matter, said: “Little Hearts Matter works with families at this most stressful time of their lives. “As an organisation we feel that families should be supported to make treatment decisions that are right for them. No one knows what the outcome for each child will be. A spokesman for Liverpool Women’s Hospital, where Charmaine claims she was told to terminate her pregnancy, said the hospital was unable to comment on Romeo’s case specifically.